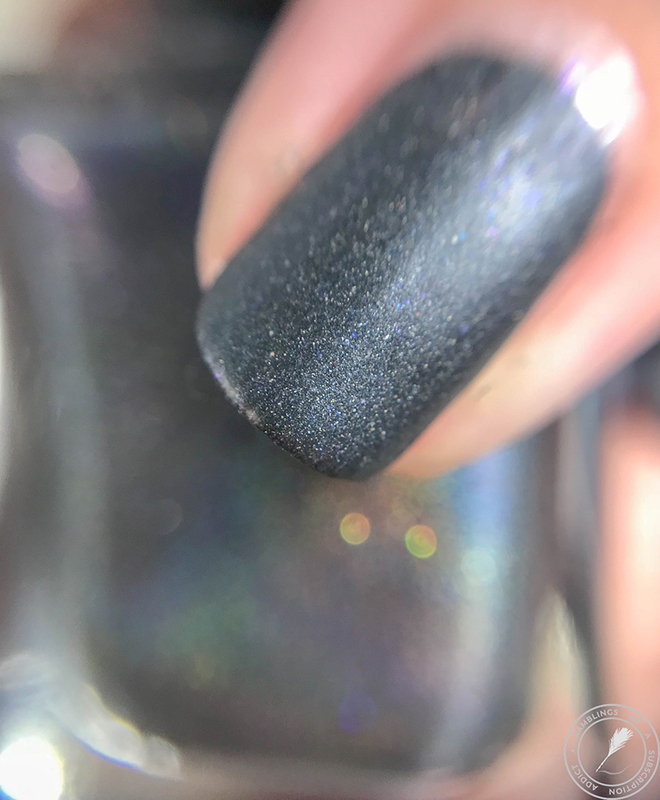 I'm back with a polish from the March Polish Pickup! 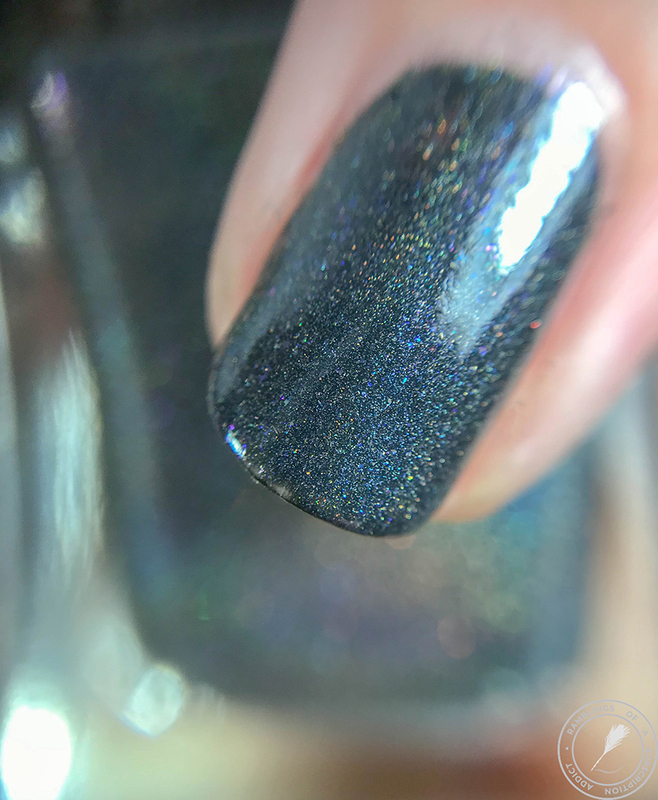 I teased you about one from another brand, but I actually have two PPU polishes this month! The March theme is Books, which I was, of course, happy about! 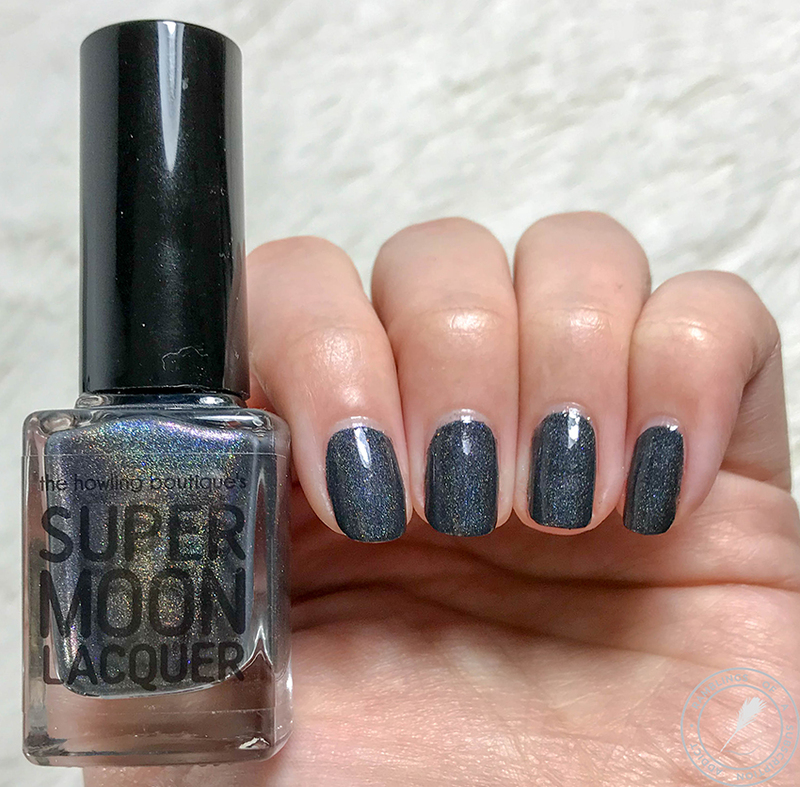 If you want to see ALL of the March polishes and products, check out my friend Velashaa at Two Girls, One Blush! 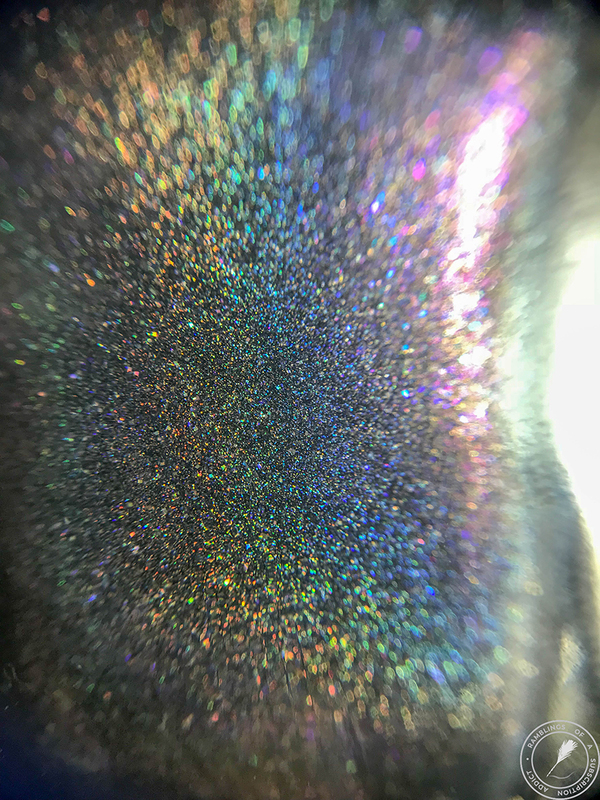 I Would Walk 417 Miles is a dark gray based scattered holographic with white, red, and aqua-blue sparks, cyan-to-copper and blue-to-red color shifting shimmer, indigo-to-purple color shifting aurora pigment, blue pearl and electric blue micro flakies, and silver holographic flakies and microglitter. 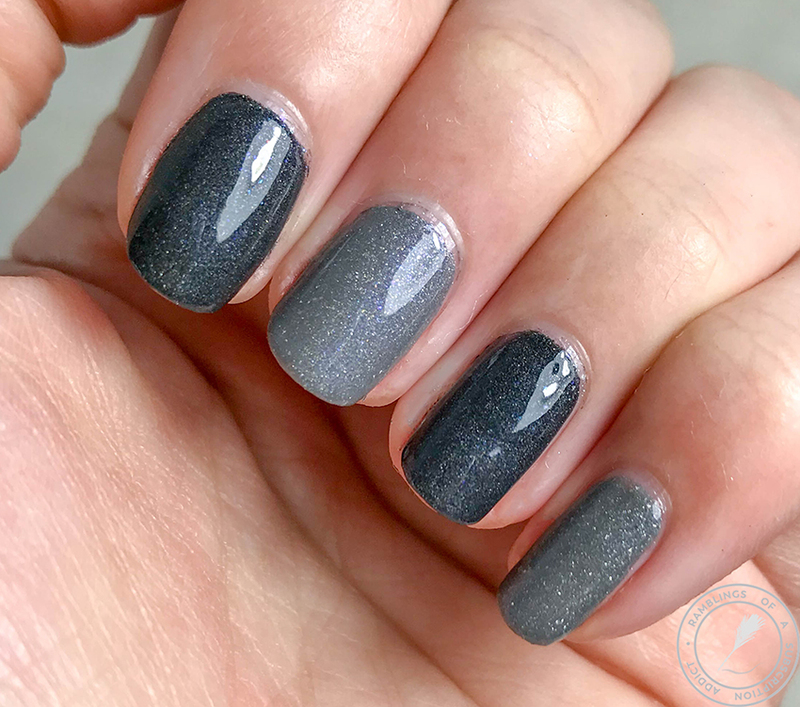 You know I'm a HUGE fan of grey polishes, so this was destined to be one of 'those' polishes! It's deep and mysterious and I love it. 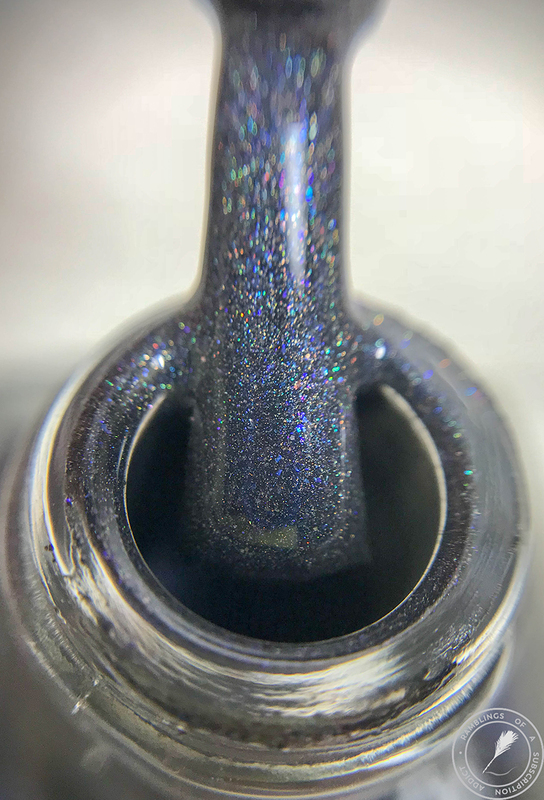 Check out that holographic, that shimmer, oh my. You can really see the smokey-ness here. 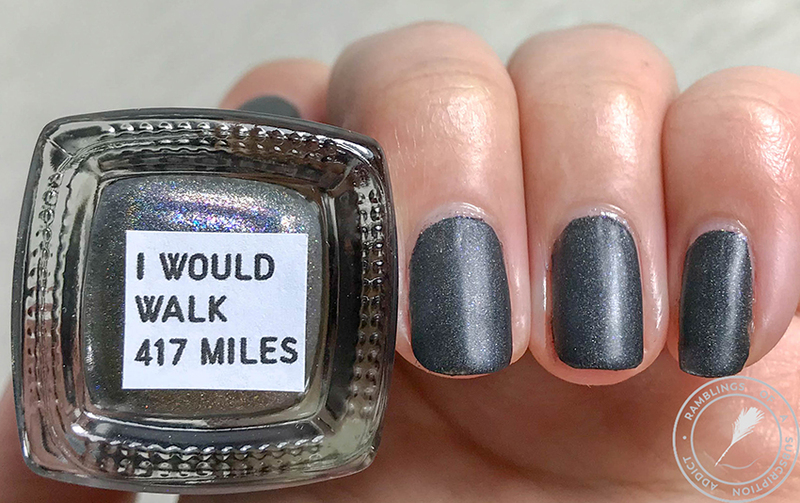 I mostly like this polish glossy. 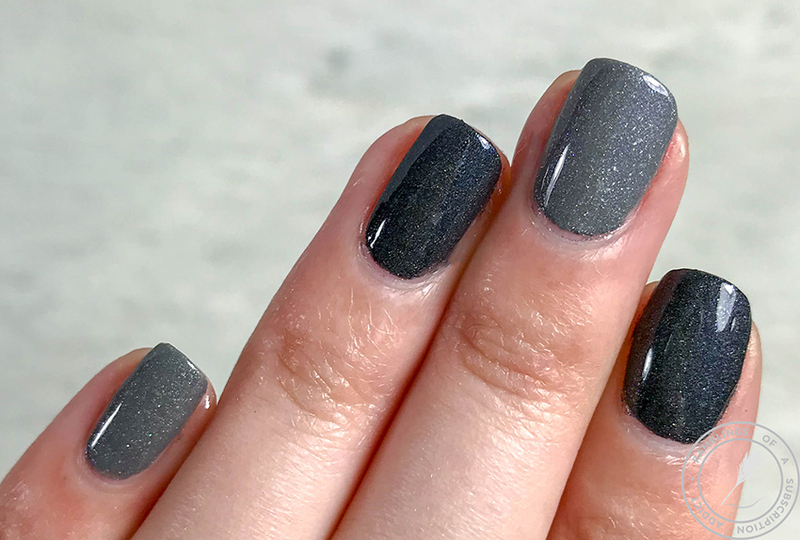 It's cool with a matte top coat, but the shimmers are gone. 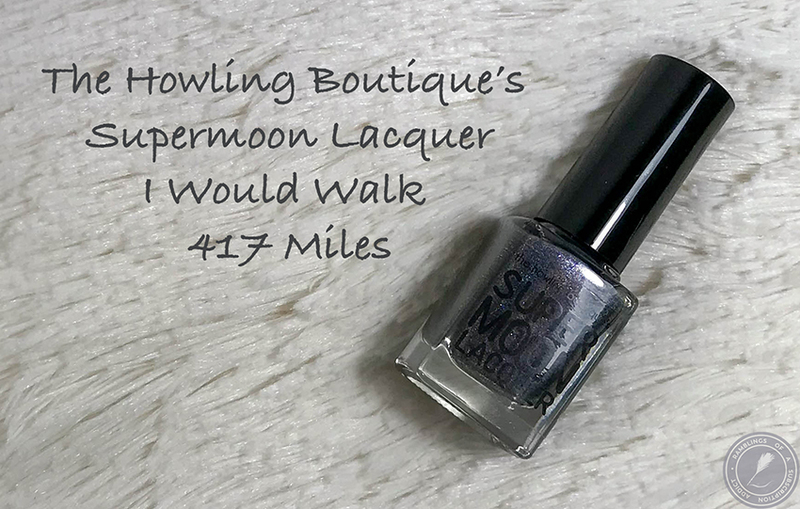 There was a request by the lovely maker to compare this new polish to Rainbow Moon Heartache from the Sailor Guardians Collection. 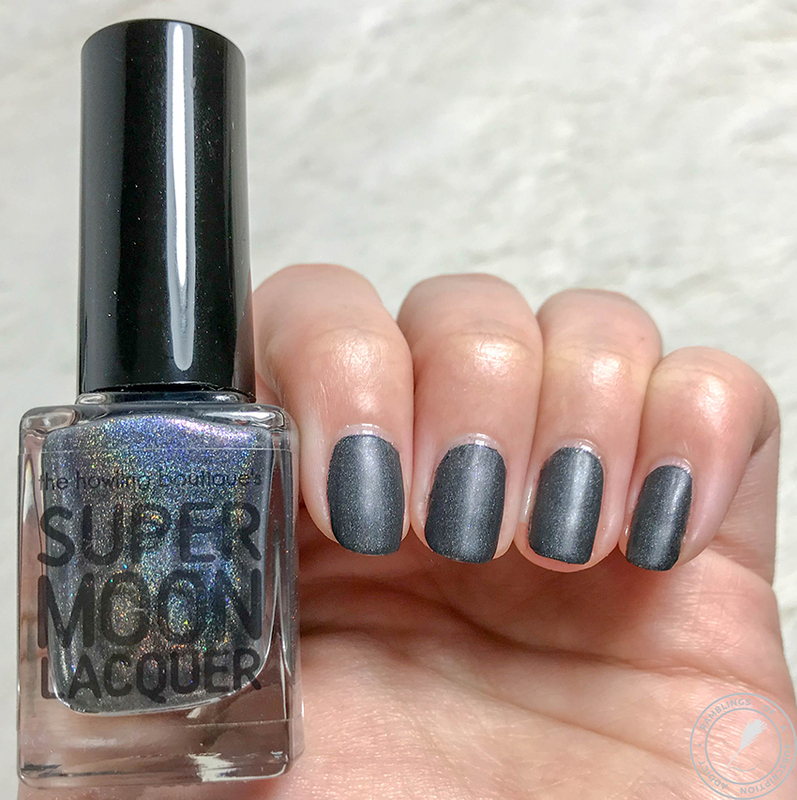 The actual shades of grey aren't the same but the shimmer and holographic is similar. 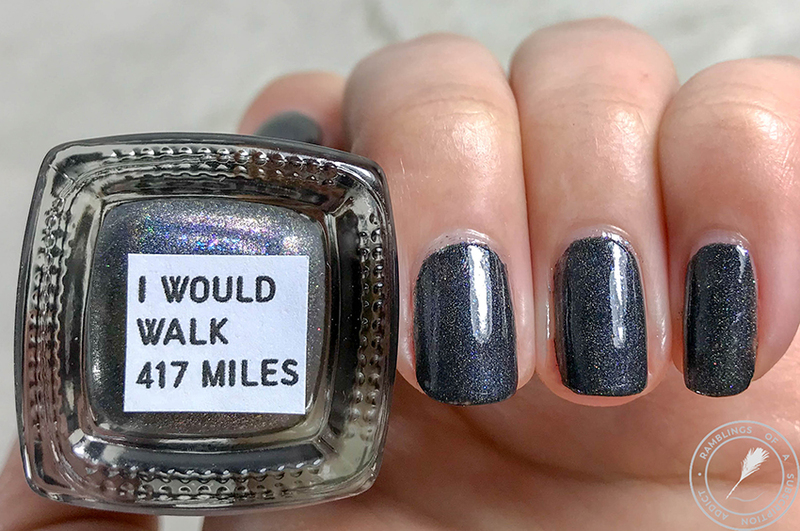 Also, I wish I had skills to combine these two polishes on the same nail. It'd be AWESOME.